The parent company of Housing.com, PropTiger and Makaan acquired home rental brokerage platform FastFox for about Rs 100 crore. Singapore-based Elara Technologies which owns the above-mentioned realty portals has extensive plans to expand. The company has successfully raised USD 105 million as equity from investors while FastFox has raised around $7 million from investors. The parent company (Elara) has marked its entry in the online-to-offline home rentals space which is valued at Rs 20,000 crore. Elara Technologies CEO Dhruv Agarwala told PTI that the company was in the home rentals market through listings on both Housing.com and Makaan.com. With this new acquisition, Elara will provide end-to-end on-ground assistance to both landlords and tenants in collaboration with other brokers. The entire team of FastFox that consists of 120 people will now be a part of Elara. However, the brand name of FastFox will be retained for the time being. Elara is witnessing a growth rate of more than 60 percent year-on-year. The company aims to become the market leader in digital real estate in India. Elara will use its capital and expertise to expand FastFox’s offering across the country. 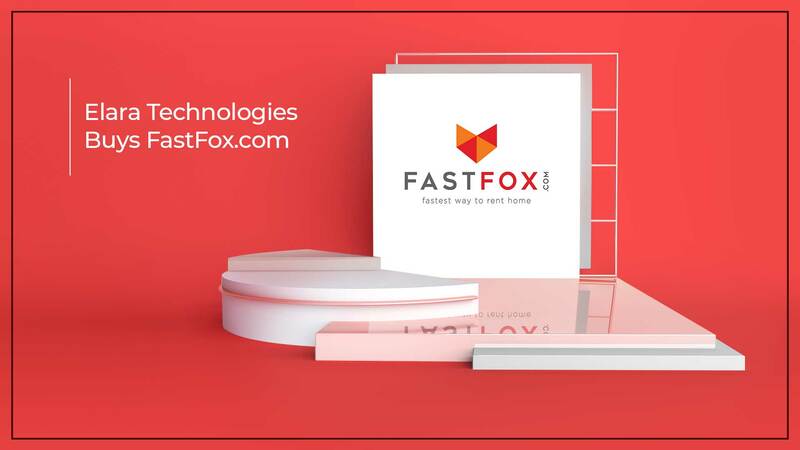 According to Co-founder and CEO of FastFox.com, CEO Pallav Pandey said that Housing.com’s data, technology and demand generation capabilities with the unique on-ground fulfilment capabilities of FastFox.com are the perfect recipe for success in the home rentals market. In the last 12 months itself, FastFox.com captured nearly 5 percent share of the home rentals market in Gurugram. Lightspeed Venture Partners and Blume Ventures are among the investors of FastFox.com. The ‘Open House’ model for rentals in India allows home seekers to view a home for a scheduled period of time. The model was brought into effect by FostFox.com. Elara Technologies founded realty portal PropTiger.com in 2011. In May 2015, Elara acquired Makaan.com and in January 2017 acquired Housing.com.